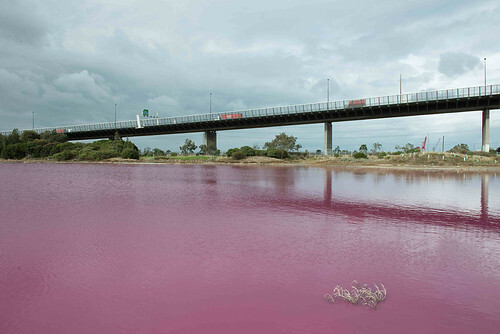 The other day was was reading a news article about a small lake near the westgate brdige that had turned pink. 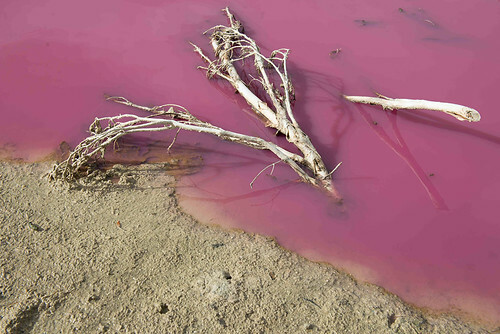 This pinkness in the water is caused by an algal bloom that is triving in the water. 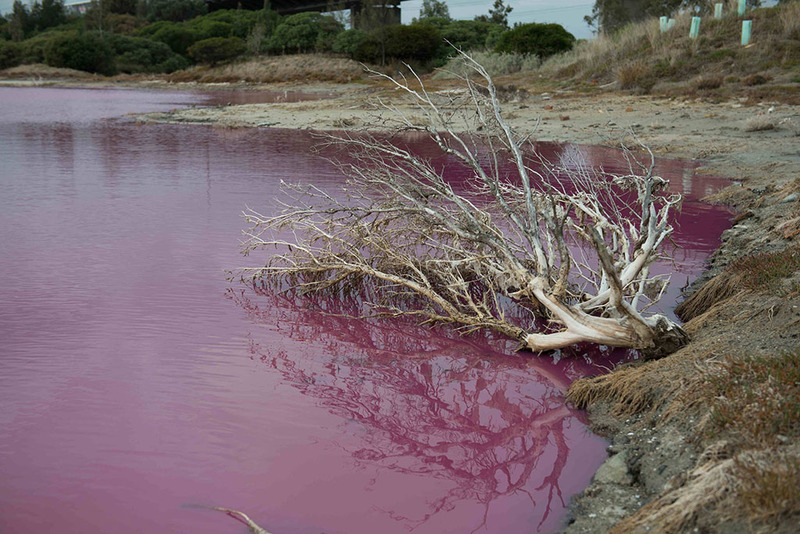 algal bloom colours can range from purple, pink, red and green. 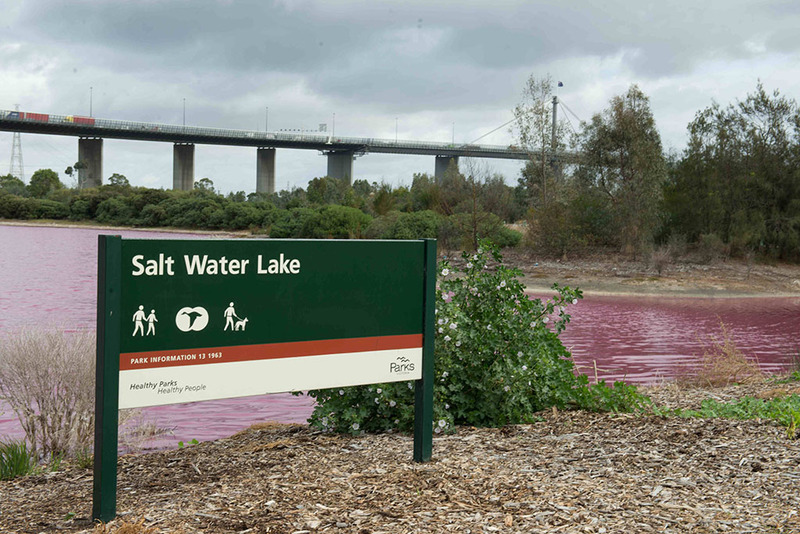 this particular algal bloom at the park was pink. here are two photos from my flickr page. Here are a couple more not in flickr.